Text to Sketch (T2S) is a technology that attempts to produce visual "sketches" from textual accounts. A typical scenario inolves a physical description of a scene, perhaps generated by a person lost in an unfamiliar location, which the T2S system uses to generate a sketch that may be registered against a map for accurate geolocation. 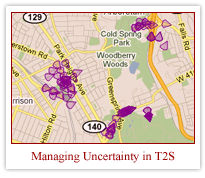 Our work extends the T2S paradigm by adding a temporal dimension; in this case a sketch is a series of waypoints and routes on a map. There is tremendous uncertainty introduced by the language processing and ambiguity and vagueness in terms used for spatial description; our work provides a probabilistic framework that can facilitate useful sketches in the face of such uncertainty. The Global Collaboration Engine represents joint work with a diverse group of UMBC scientists aimed at improving global collaboration among researchers performing local and regional studies with a view toward global impact. 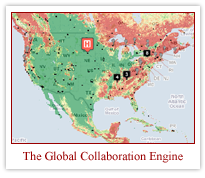 The GLOBE system couples local and global land change data with real-time visualization and data aggregation to enable new scientific workflows that accelerate global collaboration, data integration and synthesis for global change research. I am currently working with Tim Oates at the University of Maryland, Baltimore County at the Cognition, Robotics, and Learning Lab. 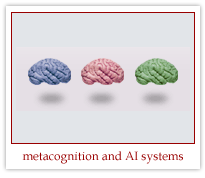 We are developing a system called the MetaCognitive Loop (MCL), a general-purpose metareasoning system that endows AI systems with improved fault tolerance. MCL is modeled after human problem-solving, and entails discovery, assessment, and recovery from unanticipated failures in AI systems. Is it possible to beat the market? The efficient market hypothesis states that it is not possible to consistently outperform the market � appropriately adjusted for risk � by using any information that the market already knows, except through luck. But are financial markets truly efficient? 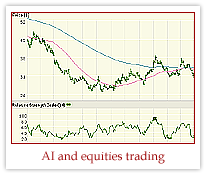 Are there opportunities to trade outside the boundaries of the efficient market hypothesis that would allow one to consistently outperform market indices?